Published on July 2, 2018 , by Kristelle Rizardo. Decision-making is one of the most challenging endeavors in life. 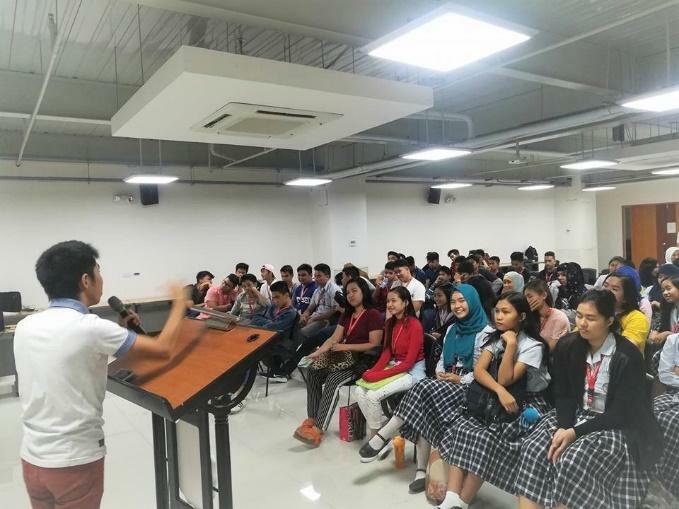 My journey in the Ateneo de Davao senior high school started with an orientation and a club fair, where every student is required to join one. This was important, as this one club will be my home within the school and strengthen my passion and potentials. I wanted to join so many clubs that I found interesting such as debate, poetry, and the student publication. It was confusing, but I had already made up my mind and selected debate. Just as I was on my way to sign up, I heard dulcet laughs and beautiful voices filled with energy and life. Curious, I found myself turning around, beaming as I looked at this group of people with the biggest smiles on their faces, buzzing around from a distance. “Ma sha Allah, there is a club for Muslims”, I whispered to myself as butterflies played in my stomach, my eyes stuck on them without blinking, and my feet wanting to run towards them. I wanted to step inside, to be welcomed. I really wanted to join Salam, but how about the Debate club? I love debates, and I see myself growing in that field. Hundreds of thoughts and what-ifs conquered my mind, loud voices in my head wanting to be heard, and confusion was all I could see — until I cried. Believe it or not, it’s true. I did not know what to do anymore, I had already tossed coins, spun the bottle, and still, I could not decide. I did not have much time left, so I closed my eyes, prayed to Allah, until my heart seemed to be very sure that Salam is the right club for me wherein I can always practice my religion and faith. Debate is what I want, but Salam is what I need. And in the name of Allah, I signed up. My experiences in Salam were entirely worth it, and they are to be treasured. There are a lot of activities where I benefited a lot such as symposiums, games, and workshops. In addition, I also developed skills I never expected to acquire in this organization. Debate stuff? Not a problem! I was also able to practice and apply it all here in Salam! In Salam, I was able to do everything I wanted; I was able to utilize every ability I have; and most of all, I was able to learn to smile despite anything ahead of me. Salam was never dull. It never lacked colors and life. And in Salam, I found friends whom I never thought I would be treating as family. 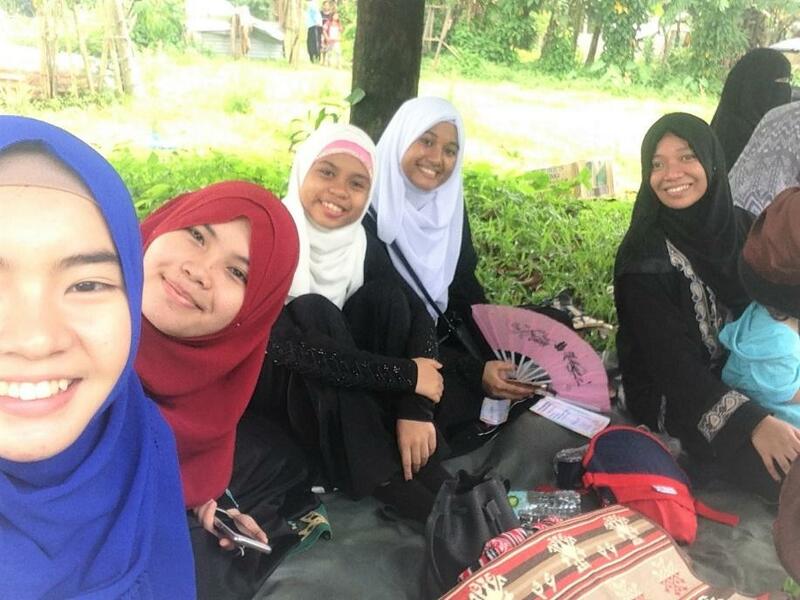 I did not only make salah and prayer room companions, I also got study buddies, lunch buddies, and even “laag-buddies” which I prefer to call “adventure buddies” LOL! But do you know the most important role these people played in my life? Allah sent them as instruments, as a way. Every time I see the Salam squad, my faith strengthens and increases. Just the sight of them already reminds me of Allah, of my identity, of life in this world and hereafter. And that, I am eternally thankful for. All praise is due to Allah. Salam is not just an organization. It is a home: a home where love, hope, and dreams become real; where faith and fate reside, memories are created, friends always belong, and laughter never ends; and most of all, it is a home that was not built in a day, but in moments with homemade happiness, Indeed, there is no place like home. There is no place like Salam. Rhayhana Badron is a Grade 12 Learner of the Ateneo de Davao University Senior High School. 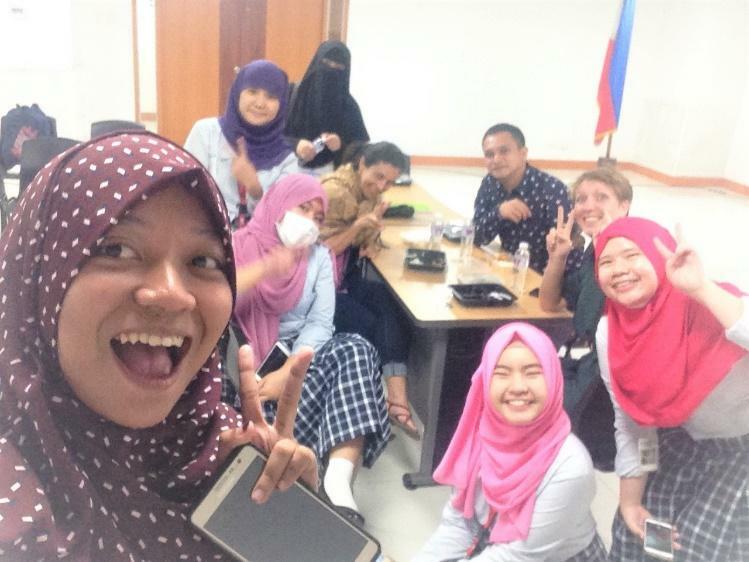 She is a member of Salam-SHS, the Muslim Student Association of the AdDU-SHS.